Hi friends, hope everyone’s having a blast on this rainy Monday. 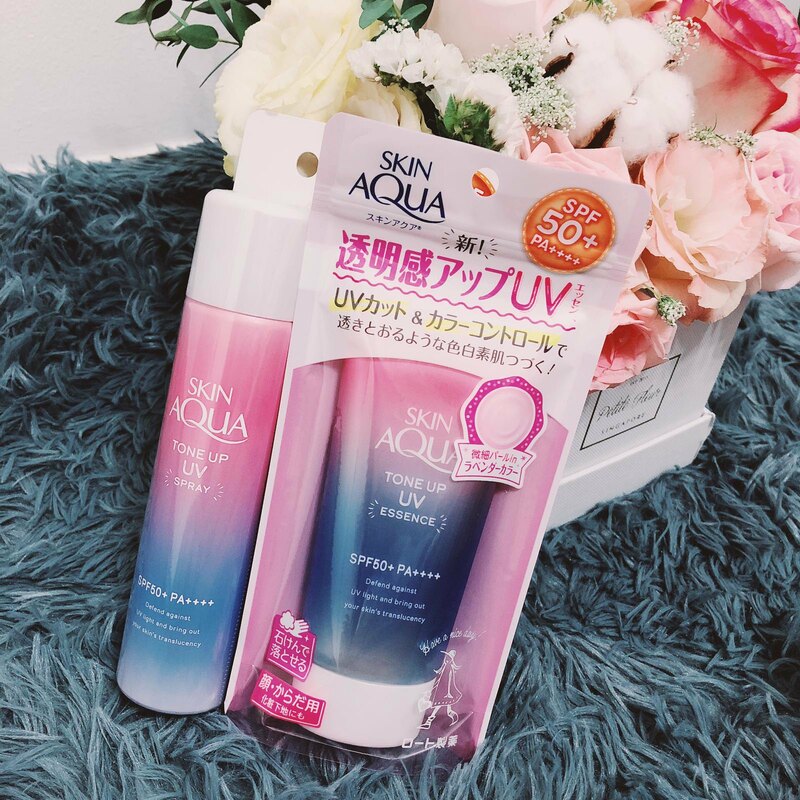 Dropping a short blogpost about the recent beauty items I’ve tried – SUNPLAY Skin Aqua’s Tone Up UV Essence and UV Spray. I like that both products are easy to use, and importantly they protect me from those harmful UV rays. To ensure that I stay fair, I am usually very kiasu and particular when choosing a sunscreen for myself. I like a sunscreen that is not greasy and doesn’t make my face white upon application. How about you? For those people who hate dealing with sunblock because it leaves a sticky after-feeling on your hands, the UV Spray is perfect for you. All you have to do is shake it a couple of times and then spray. I really like the convenience of this product! Ingredients wise, this product has Vitamin C and Hyaluronic acid that can build clear and supple skin. Overall, I fell in love with the packaging of this product when I first set my eyes on it on Watsons. It’s too pretty and I have a soft spot for items that have such dreamy packaging. Am delighted to have tried them and really like how it helps to conceal my skin imperfection and protect it from harmful UV rays. Go try them too and let me know if you like them? With that, hope you enjoyed this short blogpost and have a good week ahead!